The weather is warming up, the wind is dying down, and everywhere I look someone is out walking, jogging or running in NSB! Spring is the best time of year to sign up for a 5k or 10k race. And New Smyrna Beach has some of the best race events to participate in, even if you’re a first time runner. The team at NSB Homes recently participated in the Southeast Volusia Chamber of Commerce 5k annual event. It was great to see hundreds of New Smyrna Beach locals and visitors come out to raise money for the Chamber. If you don’t like the idea of competative running, The Lif’e’s a Beach Triathlon may be the perfect (non) race event for you! This fun filled triathlon will have you “swimming” for 200 yards. Want to use fins? Want to use a boogie board? You totally can! When you exit the water, you’ll meet the first of your Life’s A Beach Challenges–the Turtle Crawl. 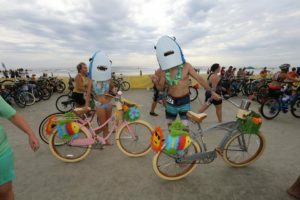 You’ll wiggle your way up the beach under a net before hitting the Transition Area to hop on your fat-tire bike for 5 miles. 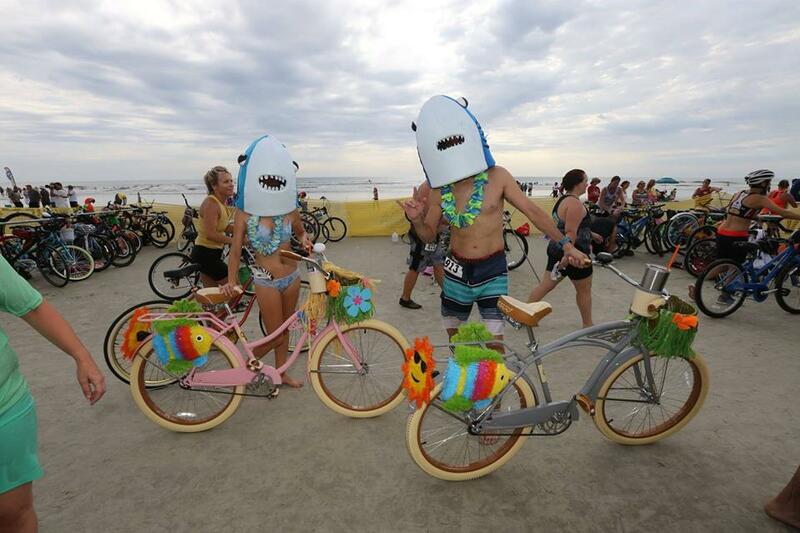 That’s right, you can ride your beach cruisers! If you’re new to runninig and want to get started I highly reccommend joining a run club. It’s free and a great way to stay motivated and meet other runners. The Running Elements in Port Orange is a great resource for all things run/walk. They have weekly run/walk meet ups in New Smyrna and Port Orange. The owner’s, Juan and Katrina Guavera, are also NSB natives. We love seeing other locals, like NSB Homes, supporting the community and growing their own businesses. We’d love to hear what races or events you’re doing this weekend! Tag NSB Homes on Facebook or Instagram and let us know how you’re keeping fit this spring!